Find a creative way to repurpose Old Orchard juice packaging for a chance to win! 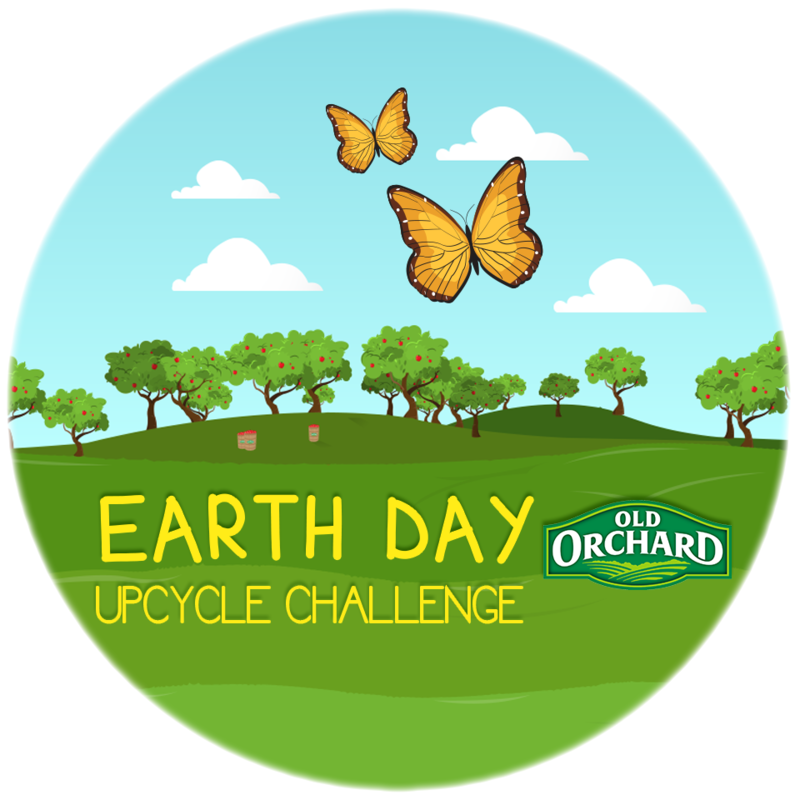 In honor of Earth Day on April 22nd, we’re challenging YOU to find a creative way to repurpose or “upcycle” empty Old Orchard juice containers and/or lids. Take a photo of your upcycled creation and upload it for a chance to win FREE Juice for a Year and an Earth Day Prize Pack! Check out our Pinterest page for some inspiration, or check out the examples on our blog. No purchase necessary. Contest is open to U.S. residents aged 18 or older. Contest is void where prohibited by law, subject to all Federal, state and local laws and regulations. Multiple entries are allowed. All entries become property of Old Orchard Brands. Entry constitutes permission to edit, modify, publish and otherwise use the photo and upcycle idea in any way without compensation. Enter online through the Promo Submission Form beginning April 3, 2015. All entries must be original and use some part of Old Orchard’s juice bottle or packaging. An original entry is the product of one’s own mind and not a copy or imitation. A brief description of your upcycle creation must be provided on the entry form. Contest is open to U.S. residents age 18 or older. Employees of Old Orchard Brands, its affiliated companies and families are not eligible. Entries must be received by 11:59pm EDT on April 30, 2015. Winner will be notified by May 15, 2015. Entries will be judged based on creativity, innovation and originality. All judges’ decisions are final. Prizes are nontransferable and may not be redeemed for cash. One Grand Prize will be awarded consisting of Free Juice for a Year (in the form of 52 VIP free product coupons, each redeemable for a free 64oz bottle of juice, up to a $3.49 value) and a prize pack featuring various Old Orchard logo’d merchandise and apparel. Approximate retail value: $300. No substitution of prizes is allowed. Old Orchard Brands reserves the right to substitute prizes of equal value. Applicable federal, state and local taxes on prizes are the sole responsibility of the winners.